Delicious. 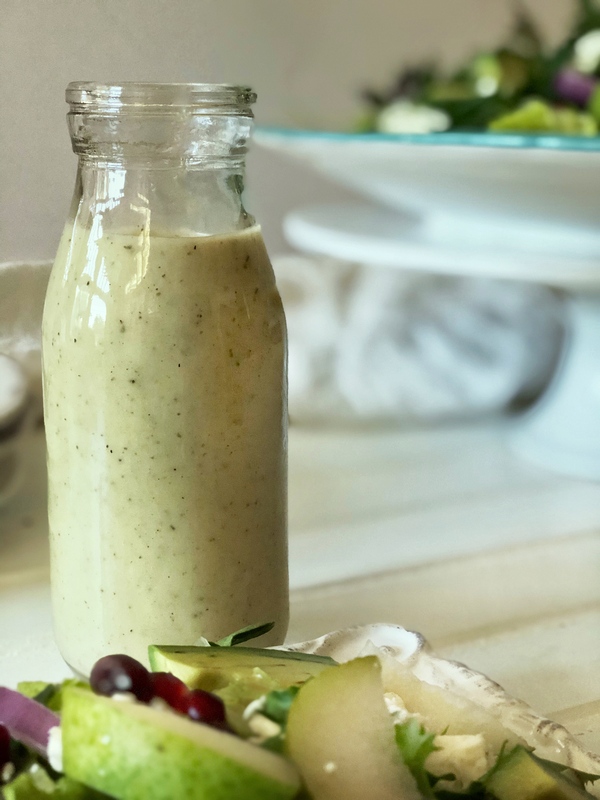 If you’re looking for a salad dressing with a fresh take on some ol’ favorite ingredients, Creamy Pear Vinaigrette is for you! Snappy, sweet, creamy, tangy, it’s all here. 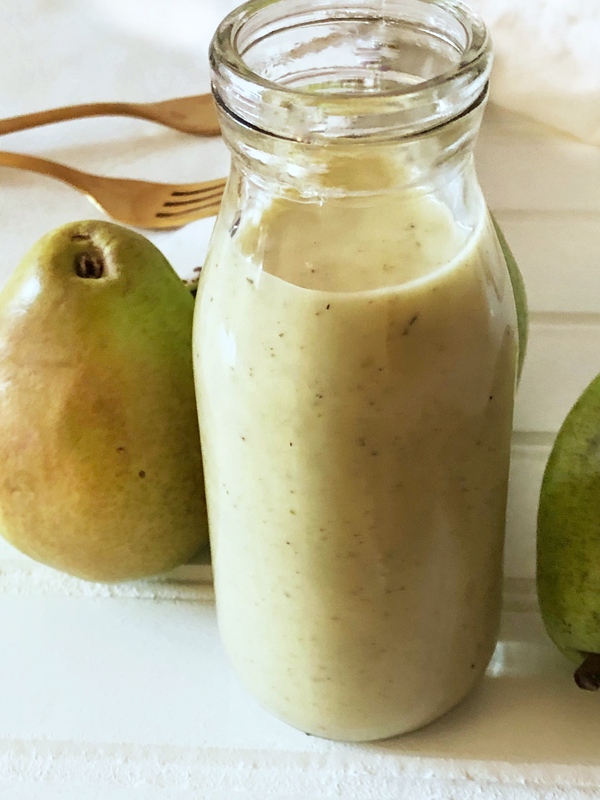 Since it’s a “pear” dressing, may we suggest making a salad featuring pears? 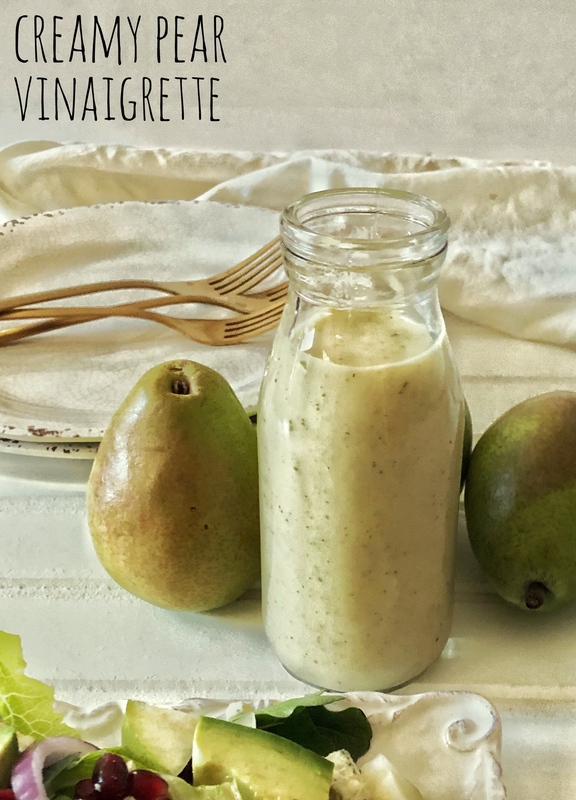 Tomorrow’s yummy Pear Salad with Pomegranate, Toasted Almonds, Avocado and Bleu Cheese goes really with this vinaigrette. And it’s so easy. You just toss the ingredients into your blender and blend! This dressing makes enough for two medium-large dinner salads. I love having leftovers so I can create another tasty salad soon. The dressing keeps well in the refrigerator for up to two weeks. Blend on high until mixture is emulsified (blended together to bind oil and vinegar). Store in sealed container in refrigerator for up to two weeks.